I have been anticipating these HKT shamekai events for a while now. Although I had heard mixed reviews about the event. As you may have noticed, HKT’s album was coming out right before AKB’s album, which meant that HKT fans would have to double-down on album purchases. Not to mention HKT’s album ‘theater version’ was more expensive than AKB’s. This ultimately negatively impacted HKT’s album sales. I know it affected me, as I originally bought only six cds/tickets, three for each Tokyo event, although I ended up purchasing two more in a later resale round to make eight total. The other thing I heard was “Well, it’s basically the same as an AKB event.” We’ll see about that. Akiyoshi Yuka (Lane 5) I got a message from a friend that Akiyoshi looked lonely sandwiched between Mikurin and Sakura. I told him I was on the way! As expected, she had no queue, all of her fans were hanging outside the lane. She’s still in a cast and on crutches, so she stayed seated. The neat thing is each lane has a special backdrop that is based on whatever the day’s theme is. Today is “Sports Day.” the girls are also supposed to dress sporty. I waited for two people to go before it was my turn. Yukachan greeted me with a big smile and I gestured toward the food on the table. “Tabetai! Of course, I could have been talking about her. 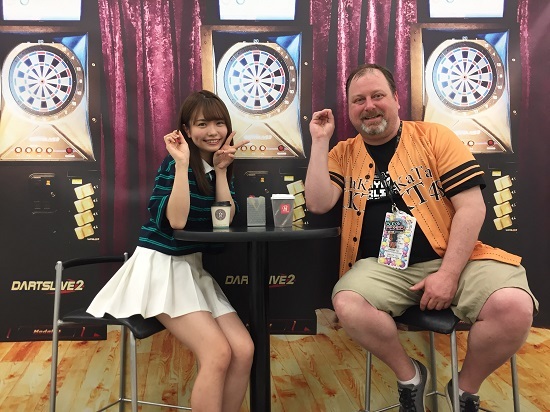 (LOL) She asked what pose, and we did the one I usually do with Maichan. BTW, we’ll give Yukachan a pass for not dressing ‘sporty’. It’s a really nice pic, right? In fact, the first person I sent this to thought we really took the pic in a bowling alley. Anyway, Yukachan said see you again, but I told her that I only had one ticket for today. I think I disappointed her. Fuchigami Mai (Lane 3) I got to the queue early, and maneuvered my way around all the Piichan fans who were waiting to say goodbye to her. I managed to get third in the queue, which was good since the queue got extremely long before the lane opened. I got a peak at the decor when the guard pulled the curtain for a moment. It was darts. Okay, bowling, darts, beer drinking sports, LOL. Maichan had a cute little tennis outfit on. She asked what pose, and I suggested that we pretend we are throwing darts. I didn’t notice that there were actual darts as a prop on the table. To my surprise, Maichan reaches in and hands me one. Really??? With all the caution about weapons? The guard immediately lunges over like “Nooo!! !” Maichan quickly grabbed it back from me. I actually left it resting in my open hand instead of clutching it since I had a feeling the guards would have an issue with this. I started laughing since I found whole exchange to be quite comical. Ultimately, she was able to hold a dart, while I just had to fake it. No problem. It’s another cute pic. As I left the lane I heard the guards discussing with her about the darts. So I doubt they had that issue anymore. But yeah, interesting prop considering the safety concerns. Ultimately, I really like the way these photos came out. The whole idea of the backdrops and the themed clothing is a really good one. They should definitely think about doing this again in the future. AKB could even do it. BTW, the other HKT48 Shamekai event in Tokyo is next month. I was hoping that maybe I would be able to do a makeup for Mio’s tickets, but she might not be back by then. My other four tickets for that event are for Akiyoshi (x2) Maichan, and Rikopi. I’m looking forward to it. Anyway, I had plenty of time to get to Gotanda to Wasamin’s cheki event, so I didn’t need to rush. When Ichikawa-san announced the dates for Wasamin’s 7th single chara-ani events, I was disappointed to see that the first date fell on the same day as the HKT48 Shamekai event. I quickly checked the second date, and noticed I had nothing else scheduled, so that was a relief. However, I didn’t have very many HKT tickets, so I compared my HKT schedule with Wasamin’s cheki schedule and figured out that my last HKT ticket was at 2:30, while Wasamin’s 3rd and last cheki slot was at 3:30. So I could definitely make it. In that spirit, I purchased one ticket. Well, all went according to plan. I finished with HKT at around 2:40, and made it to Wasamin’s event by 3:15. When I got upstairs, they had a booth set up to get additional tickets if you wanted. I never saw them announce this, but that’s ok. I wanted to make the most of the trip over, so I purchased an additional cd/ticket. 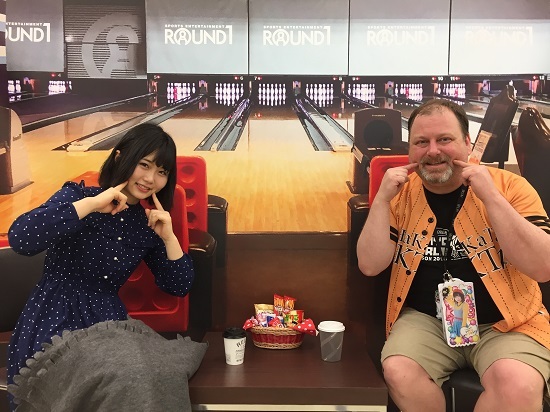 I went into the pre-queue room, and all the Wasafans noticed that a) They hadn’t seen me in a while, since I have missed the last few Wasamin mini-lives, and b) I was wearing HKT gear (LOL) While we were waiting I showed them my shamekai from the HKT event. And with that I took off. I rushed home to start my paper, but instead I am writing this report. I’ll get it all done one way or another. Hi john. For these particular photo-ops, one had to preorder HKT48’s album through the AKB48 Group Shop. Yesterday in Tokyo was the last event for that promotion. AKB48’s Album shamekai promotion ended the the weekend prior, so as far as shamekai events, they won’t come up again until one of the groups releases an album. Or course, there is also a chance to win the 2-shot selfies at the AKB handshake events too. 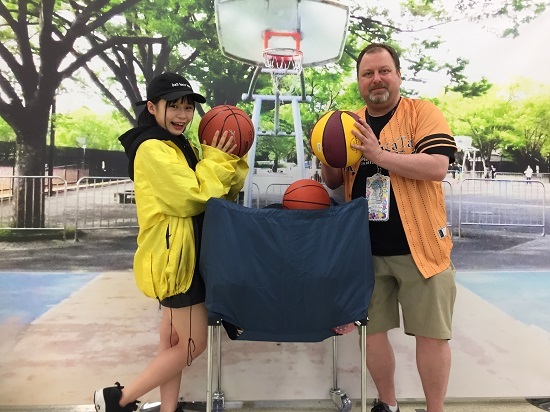 As for chekis (and Wasamin) she has been offering photo-ops a bit more often lately, especially with the upcoming release of her 4th concert DVD. 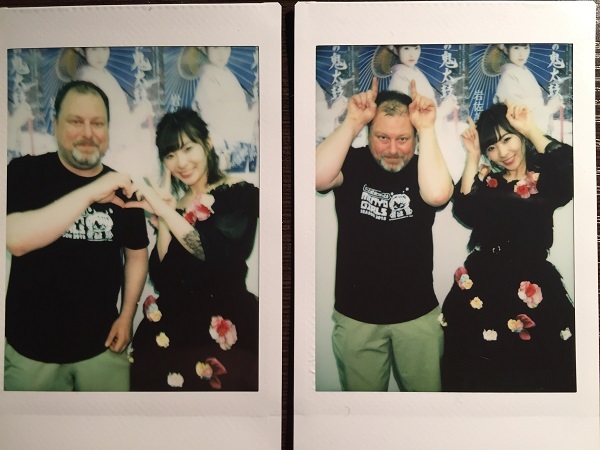 She has a special cheki event coming up in mid-June as well. It was originally limited to preorder, but they will probably offer ‘on the day’ tickets too.